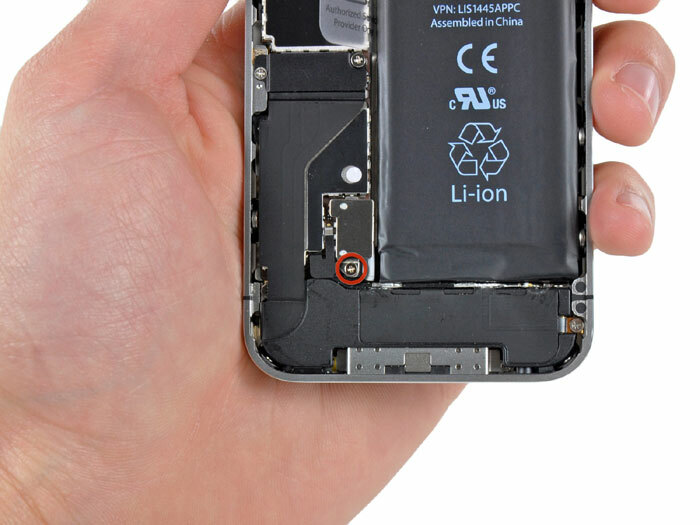 Before disassembling your iPhone, be sure it is powered off. 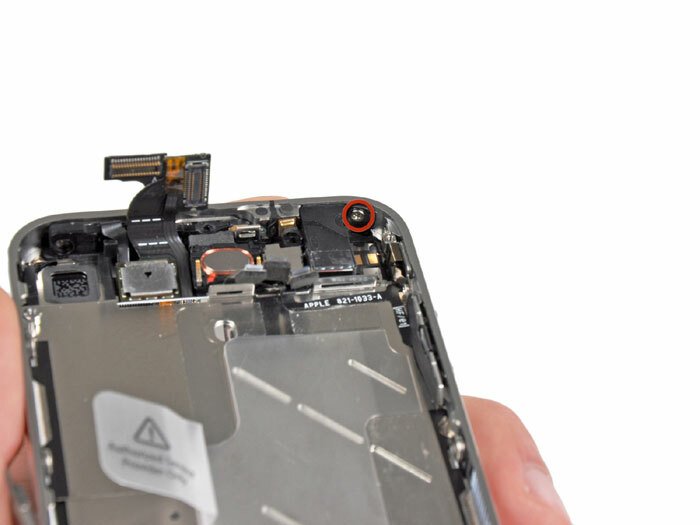 Remove the two 3.6 mm Phillips screws next to the dock connector. 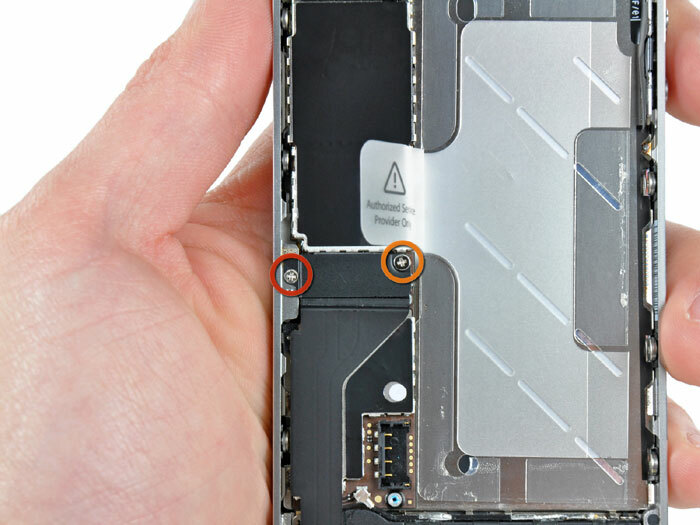 Apple has recently substituted the two Phillips screws with 5-Point "Pentalobe" screws. 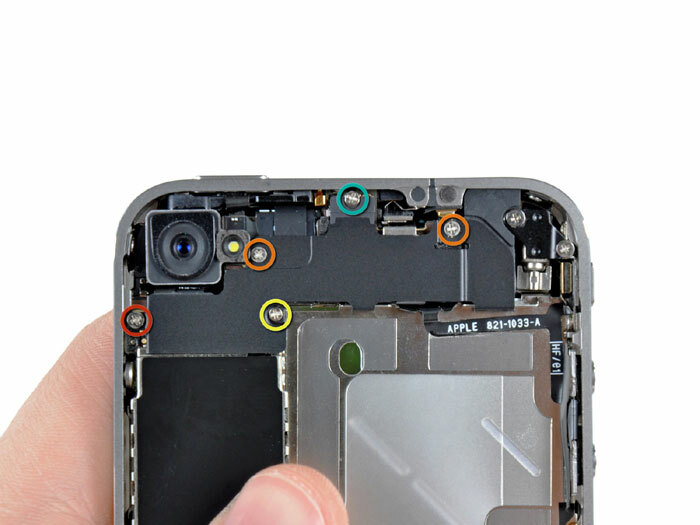 If your iPhone 4 has 5-Point "Pentalobe" screws instead of Phillips, please refer to the second picture. 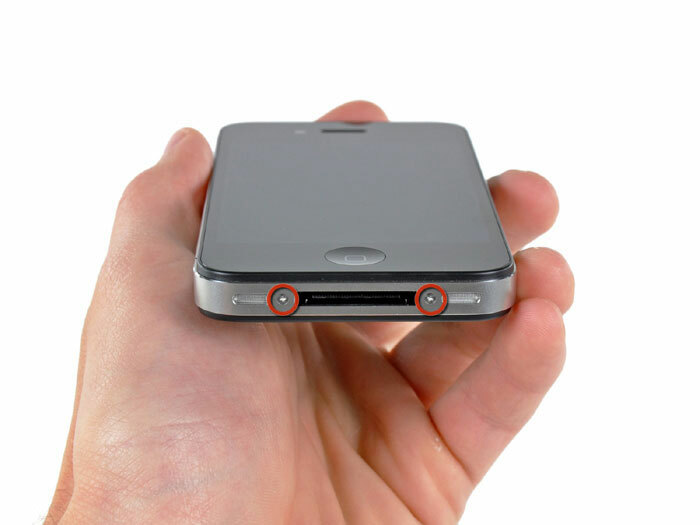 Remove the two 3.6 mm Pentalobe screws next to the dock connector. 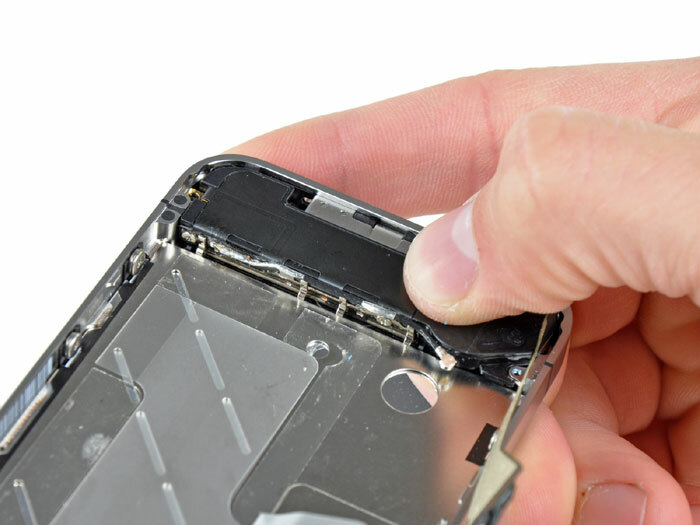 During reassembly, we recommend you replace the 5-point screws with equivalent Phillips screws. Our Liberation Kitprovides the tools and screws needed to replace the Pentalobe screws with Phillips screws. 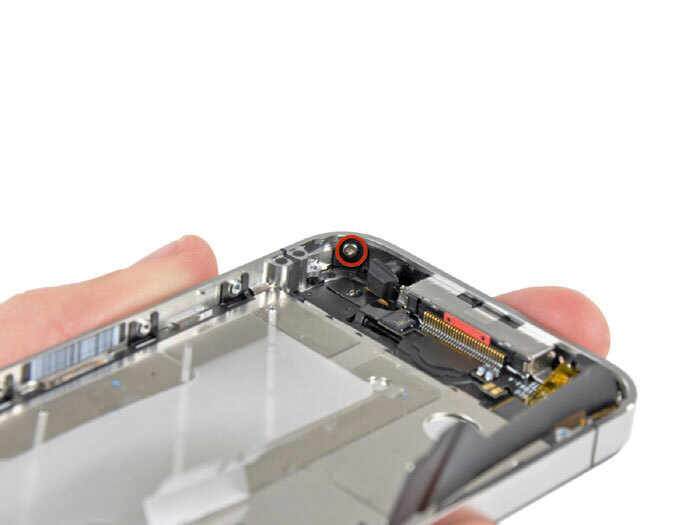 The 5-Point Screwdriver should only be used once, as it has the potential to strip the screws. 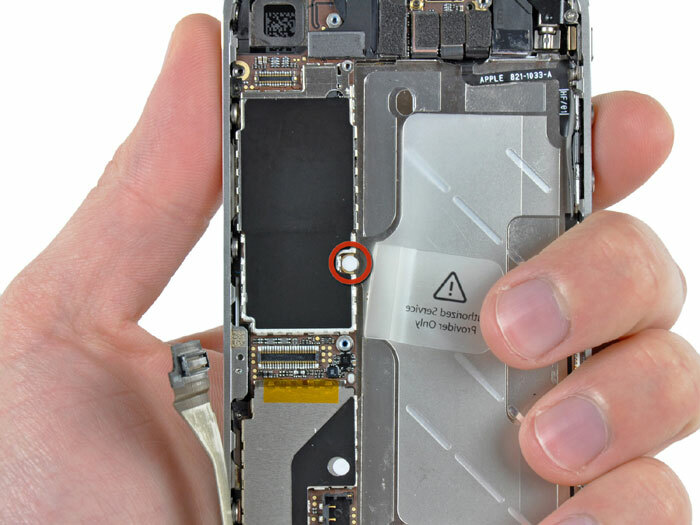 Lift the rear panel away from the iPhone. 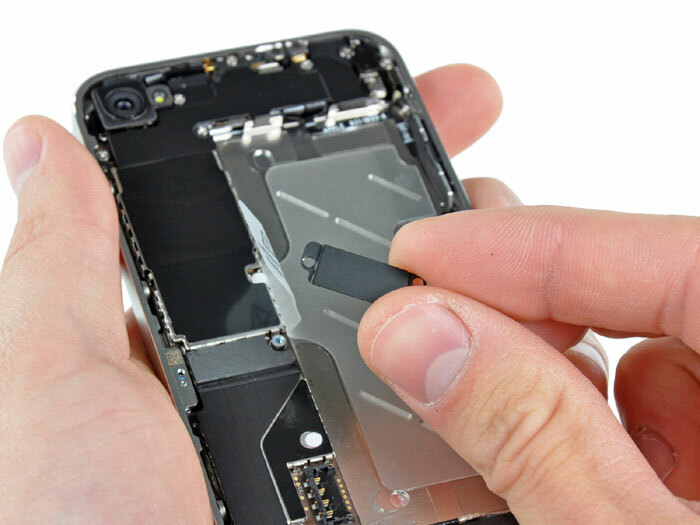 Use an iPod opening tool to carefully pry the battery connector up from the ends closest to the top and bottom edges of the iPhone. Do not pry against the pressure contact. 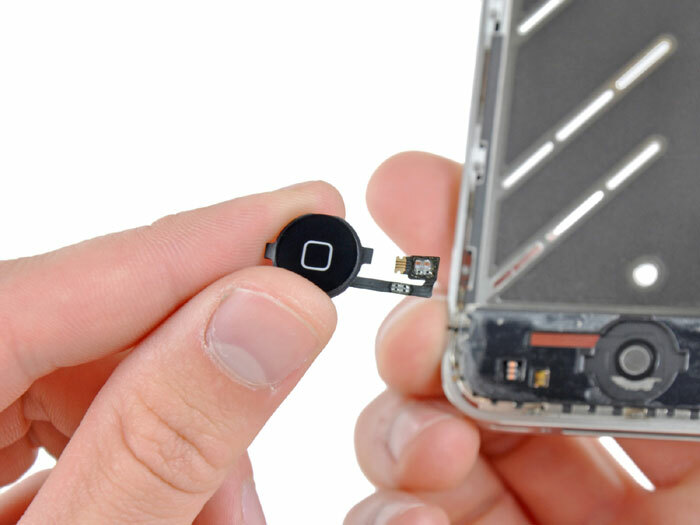 Remove the pressure contact from the iPhone. 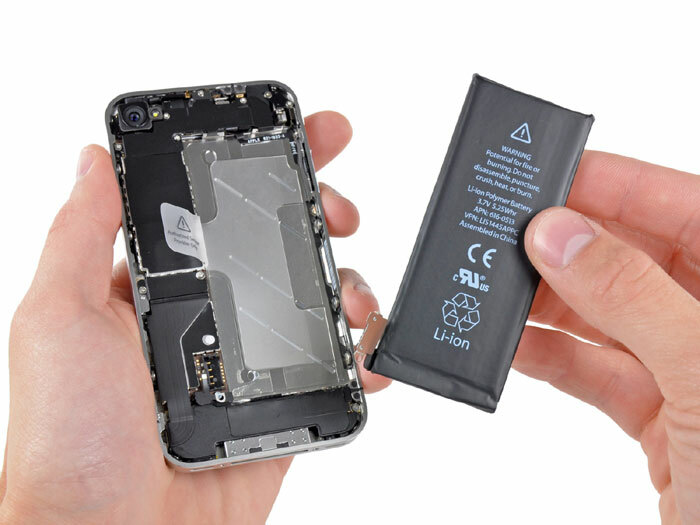 Be careful when removing the battery with the plastic pull tab. 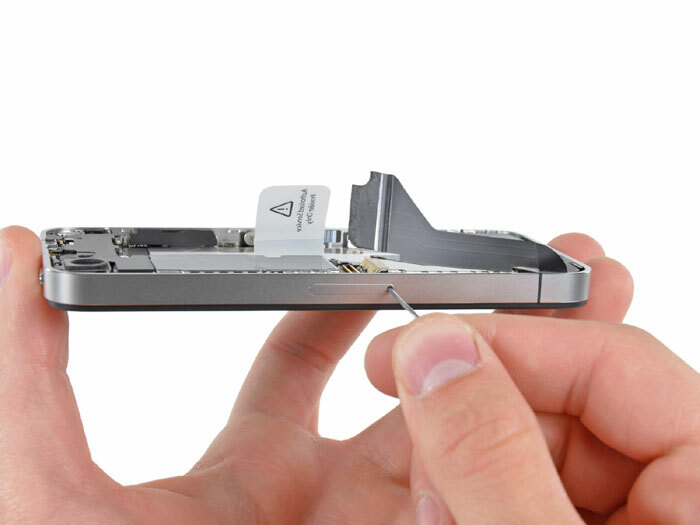 On some units, Apple uses an excessive amount of glue, making it virtually impossible to remove the battery in this fashion (with the tab possibly tearing due to excessive force). 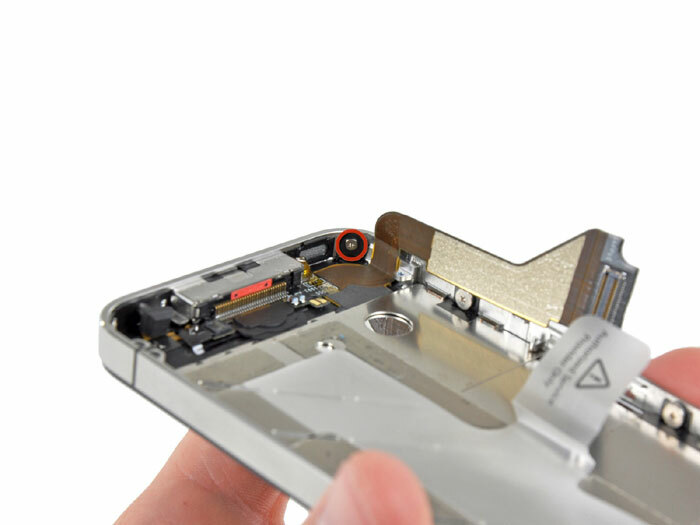 For batteries that "stick", you could use the iPod opening tool to assist (take extra care whilst doing so). 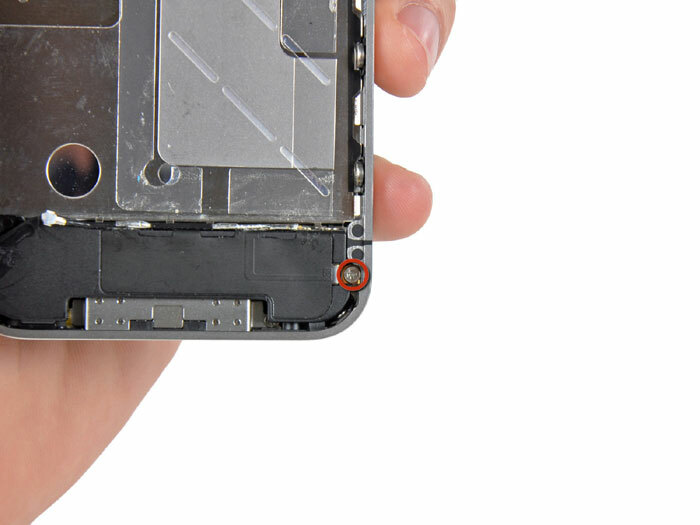 Before reconnecting the battery connector, be sure the pressure contact (shown in red) is properly positioned next to the battery connector. Before reassembly, be sure to clean all metal-to-metal contact points on the pressure contact as well as its contact point on the rear panel with a de-greaser such as windex. 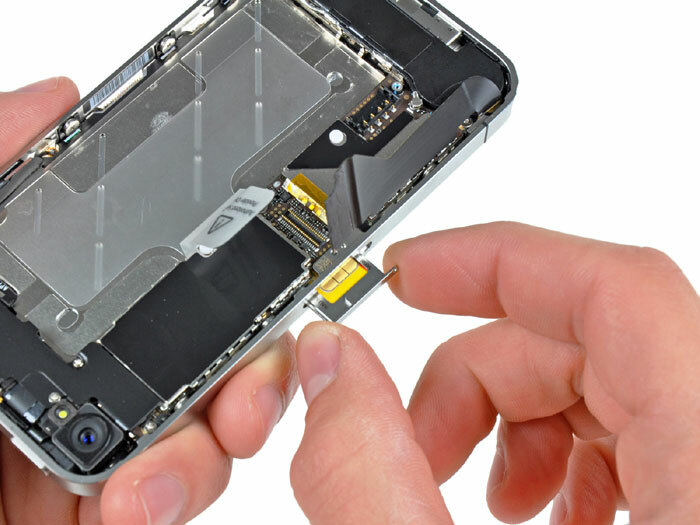 The oils on your fingers have the potential to cause wireless interference issues. 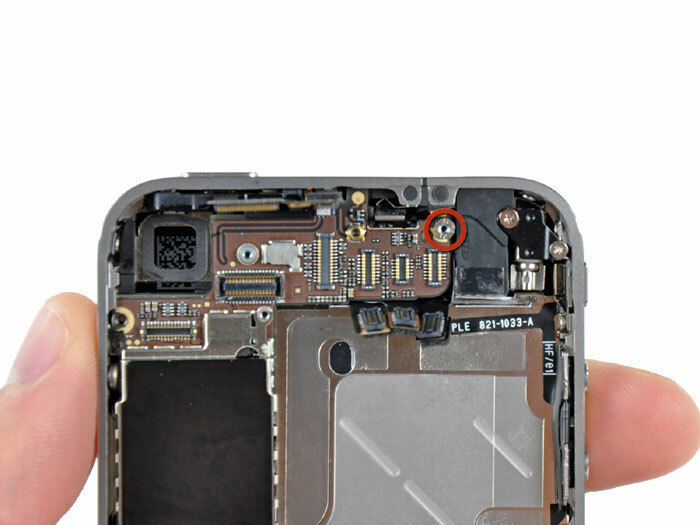 Use an iPod opening tool to pry the lower antenna connector up off its socket on the logic board. 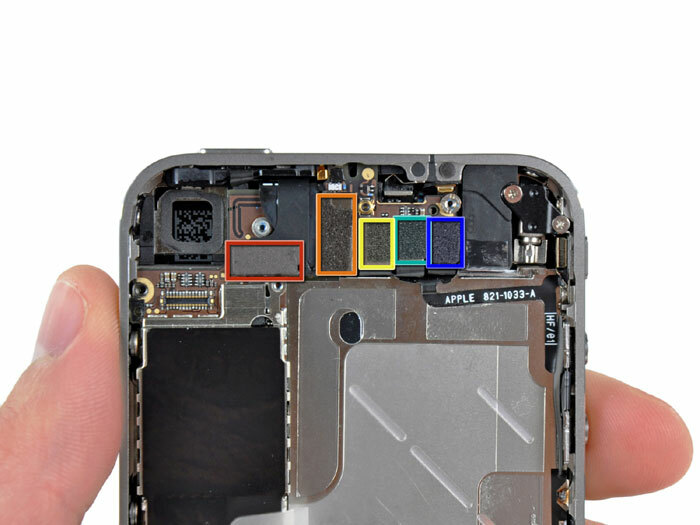 Use an iPod opening tool to slightly lift the top edge of the connector cover away from the logic board. Use the tip of a spudger to pull the connector cover retaining clips away from the inner frame. 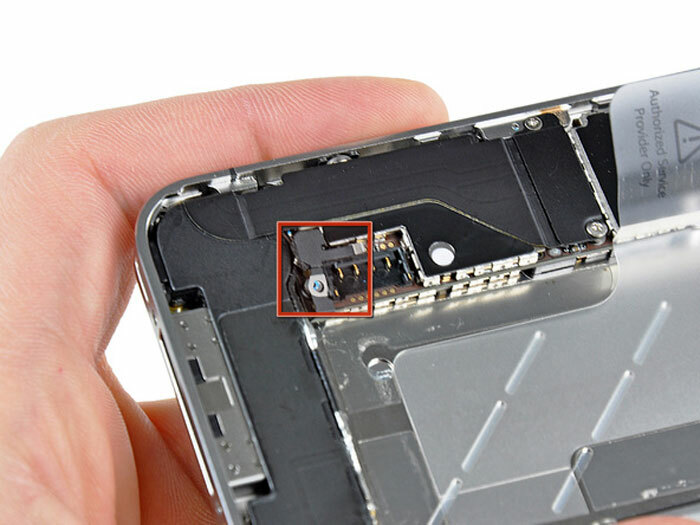 Remove the connector cover from the iPhone. 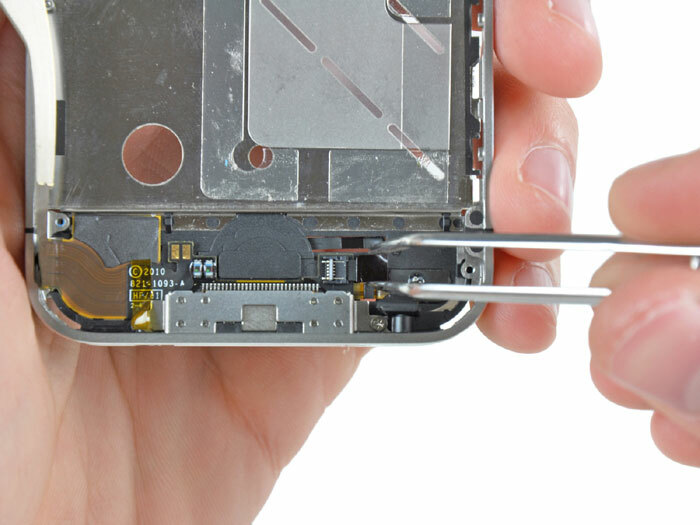 It is helpful to use the edge of an iPod opening tool to gently lift the connectors up and out of their sockets on the logic board. 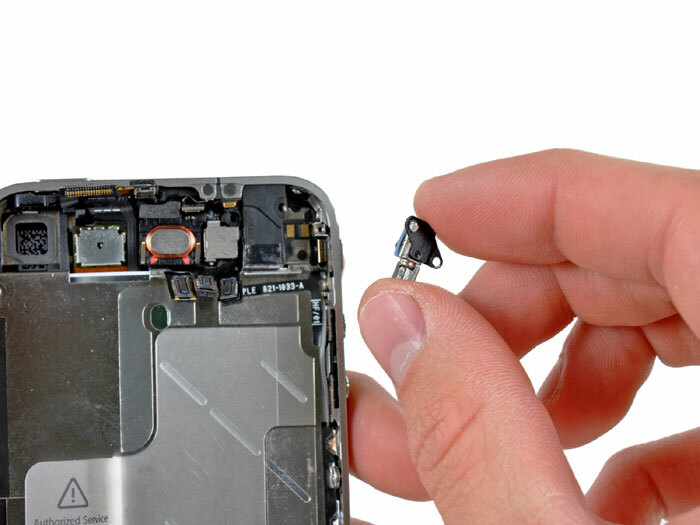 Use a small flathead screwdriver to remove the 4.8 mm standoff near the headphone jack. 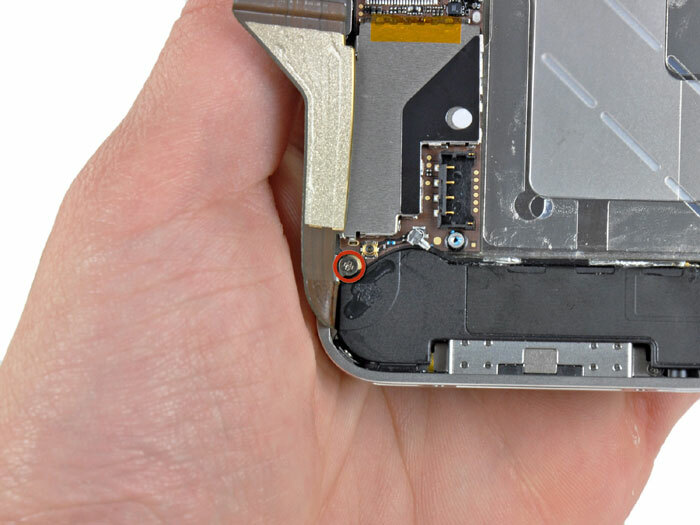 Remove the small-headed 1.5 mm Phillips screw near the sleep button. 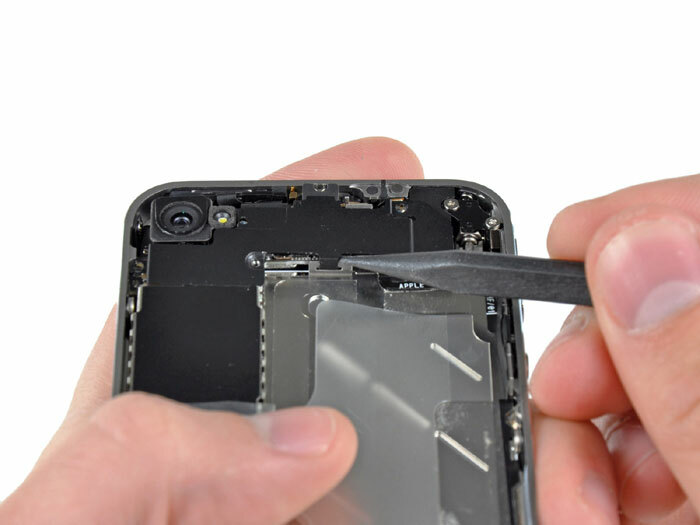 Before re-fastening the front panel to the steel inner frame, be sure both the LCD and digitizer cables are not folded or pinched between the inner frame and the front panel assembly. 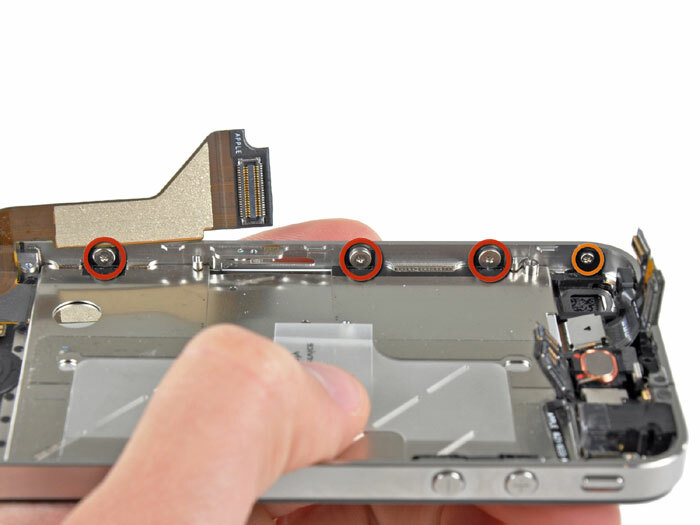 This will result in possibly damaging the cables and not having enough slack when reconnecting the them to the logic board. 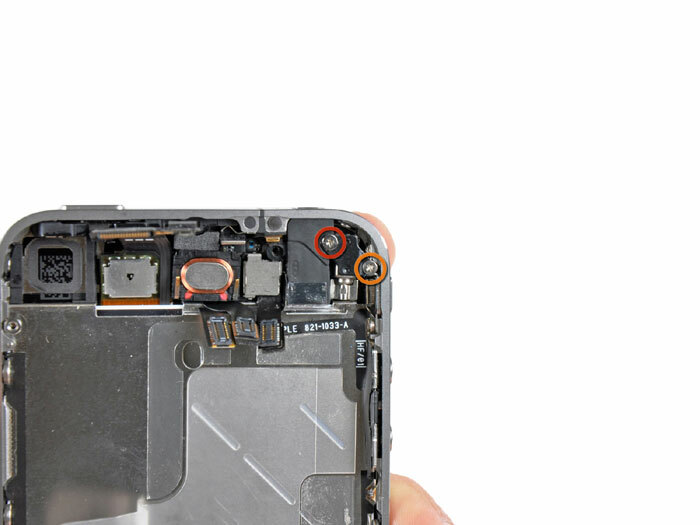 When the front panel has been correctly installed, both the LCD and digitizer cables should be immediately next to one another, and the connectors should be just hanging over the steel frame. 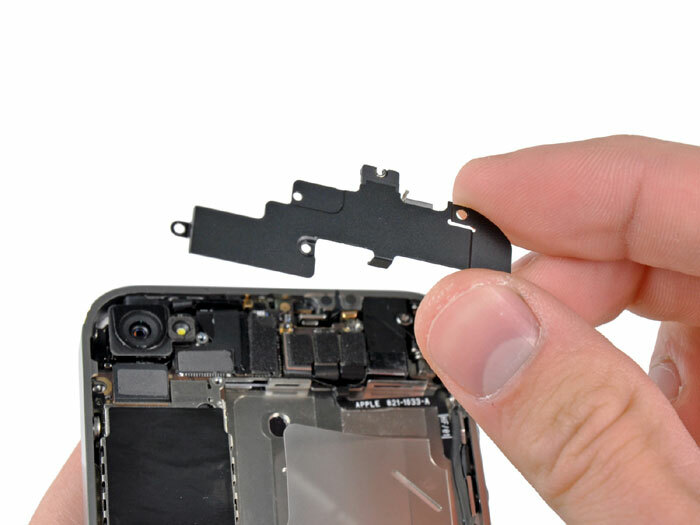 When replacing the front panel assembly you must remember that you might have to reuse the earpiece grille and the clear plastic ring around the front facing camera from the old/damaged assembly. This will depend on where you buy the replacement part. 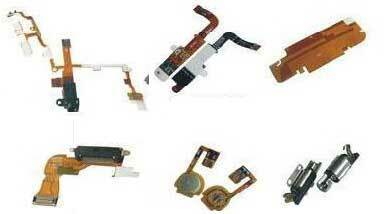 Do not excessively strain the home button ribbon cable, as it is very thin and delicate.